Are you looking for 2012 summer festivals and events in DuPage County? Click here! Here is the 2011 DuPage County summer festival calendar (list of events). Check back often; events and festivals are added as more information becomes available. 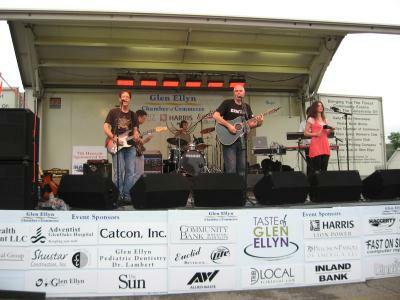 This year marks the 30th Annual Taste of Glen Ellyn. The event takes place Thursday, May 19th through Saturday, May 21st. Of all the downtown areas in DuPage County, I like downtown Glen Ellyn the most. It is quaint, but not small and would make the perfect backdrop to a Norman Rockwell painting. Thursday, June 2nd through Sunday, June 5th. This is the perfect event for families with small children who want to have fun, but not be inundated with massive crowds. The event, held near historic downtown Wheaton, in Memorial Park (Karlskoga Ave and Wheaton Ave), is very family-friendly. The event features tasty food from local restaurants, a craft and art fair, and carnival rides (commuter parking lot just south of the railroad tracks). 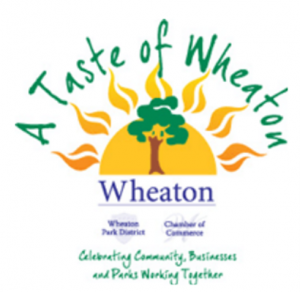 Being one of the earliest of the summer festivals in DuPage County, The Taste of Wheaton can often be enjoyed while the summer temperatures are still somewhat mild. For more information about this event, please visit the City of Wheaton website. The Taste of Lombard is always a well-organized, good-time, event, with live music, great food from local restaurants, a carnival, bingo, kid’s games, and fireworks. This event has grown substantially over the past 10 years, but hasn’t become too large; it is still very family-friendly and not overcrowded. The event begins Thursday, June 30th and runs through Monday, July 4th. The Taste of Lombard takes place at Madison Meadow Park on the south side of Madison Street (2 blocks west of Westmore-Meyers Road). Visit the Taste of Lombard website for more details and a schedule of events. 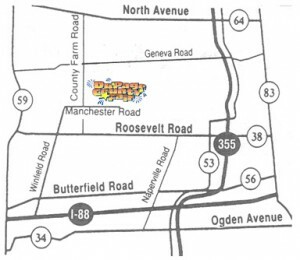 Naperville’s Ribfest event begins Friday, July 1st and runs through Monday, July 4th. 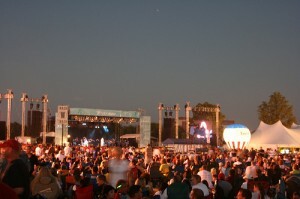 Ribfest has become one of the Midwest’s premier Fourth of July weekend festivals. The event, located in Naperville’s Knoch Park, features a barbecue and smoked rib competition, live music, carnival rides, and fun and games for the entire family. If you enjoy live music, Ribfest has it! This year’s entertainment includes the following headlining musical guests: Phil Vassar, Kenny Wayne Shepherd, Nick Moss, Grand Funk Railroad, Jefferson Starship, and Canned Heat. In addition to the headlining artists, many local bands and artists will perform on one of Ribfest’s two stages. Ribfest concludes with an exciting fireworks display on the evening of July 4th. There is little parking available at Ribfest; make plans to take advantage of one of the free shuttles if you can. For more information about this event, check out the official Ribfest website. 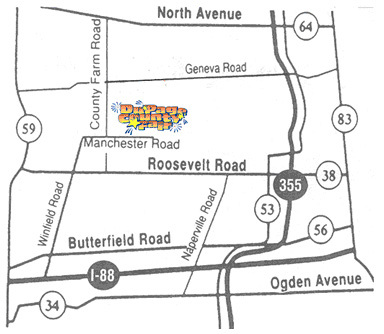 The DuPage County Fair is located Wheaton, at the DuPage County fairgrounds, on the north side of Manchester Road (just east of County Farm Road). The fair features carnival rides, a petting zoo, live music and entertainment, kid’s games, a talent show, and tons of good-time carnival foods like funnel cakes, elephant ears, snow cones, cotton candy, and deep-fried goodies. The only festival in DuPage County that comes close in scale to this one, is Naperville’s Ribfest. You won’t want to miss this event! More information about the 2011 DuPage County Fair can be found here. 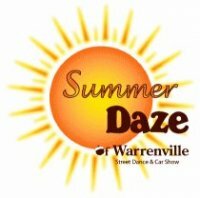 Warrenville’s Summer Daze festival features live music, an art fair, games, carnival rides, great food, and a car show featuring some of the coolest classic muscle cars around. Like it’s nearby neighbor, Winfield, Warrenville has big small-town appeal. This festival is just the right size, and always a fun time for the entire family. Summer Daze begins on Friday, August 5th (5PM-11:30PM), and runs through Saturday, August 6th (9AM-11:30PM). 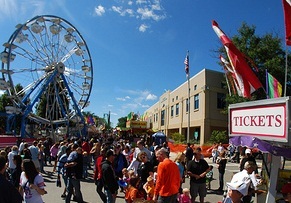 The festival is held near the Warrenville Civic Center, located near the southwest corner of Butterfield Road and Batavia Road. Parking is available in public lots and along nearby neighborhood streets (plenty of parking is available). Check out this Summer Daze festival schedule for more details about this fun event! Taking place on Labor Day weekend, Naperville’s Last Fling event is a great time, but sadly, it does signal that the Summer festival season is coming to an end. The event is located in downtown Naperville, near the Naperville Riverwalk, not far from Naperville Central High School. The Last Fling features live music, carnival rides, art exhibits, and a kid’s fun zone. This event often books a major entertainer to headline the Saturday evening main-stage concert (a headline act hasn’t been announced at this time). Like Ribfest, Naperville’s Last Fling has limited parking available, and can get quite crowded. Shuttle buses and remote parking are available for free. For more information about this event, check out the Last Fling website. Located in the downtown area of Winfield, Good Old Days truly is a festival reminiscent of simpler times. This is, without a doubt, the most family-friendly of the DuPage County summer festivals. This is one of my favorite summer festivals because it is smaller-scale (meaning less crowds) and it’s a lot of fun for the whole family. 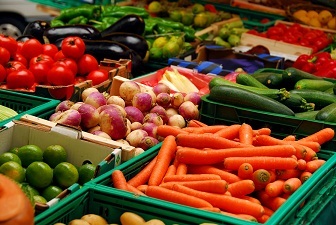 Winfield Good Old Days is an event where local and surrounding area residents get together to enjoy good food, live music, bags tournaments, and a carnival. The event also features one of the most kid-friendly parades in DuPage County (be sure to bring some plastic grocery bags to collect the TONS of candy that gets tossed to the gathering crowds). The Good Old Days festival begins on Thursday, September 8th and continues through Sunday, September 11th. The event is held in downtown Winfield directly off Winfield Rd. near the train tracks. 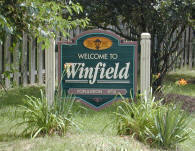 This year’s event will also celebrate Winfield’s 90th anniversary since it became a village in DuPage County. I would love to see a comprehensive list of area fireworks displays for Fourth of July when you get the chance.